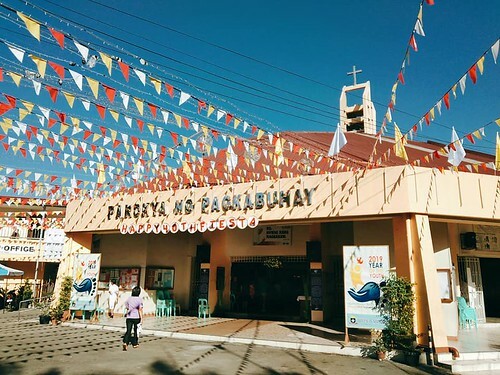 Parokya ng Pagkabuhay (Parish of Living) is also known as The Resurrection of Our Lord’s Parish. 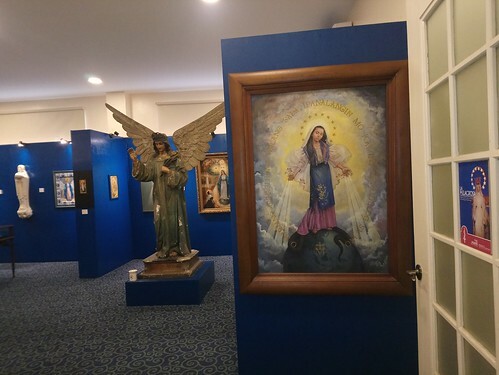 It was then a small chapel dedicated to Mary, Mother of Perpetual Help and Jesus, the Divine Mercy. However some older residents that there are plans to create a parish in early 1970’s. 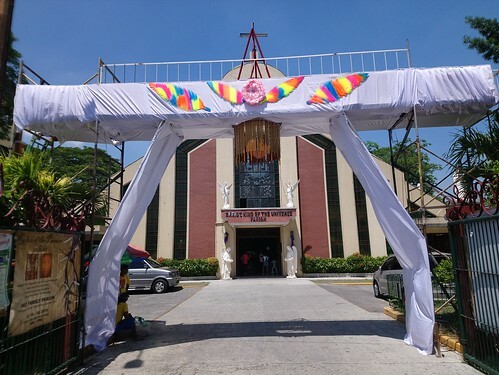 The church was turned over to the Achdiocese of Manila when it was established as the Pagkabuhay Parish on November 15, 1978 by the late Jaime L. Cardinal Sin. 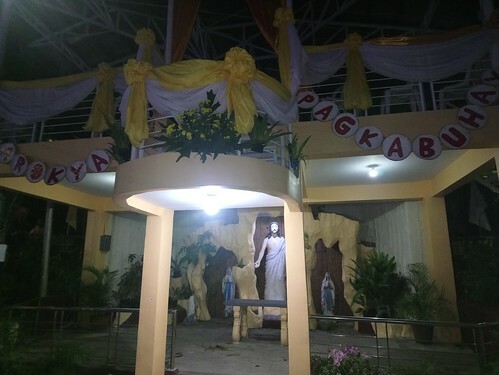 The parish is located along Pagkabukay Road just beside Bagbag cemetery within Barangay Bagbag, Novaliches,Quezon City. 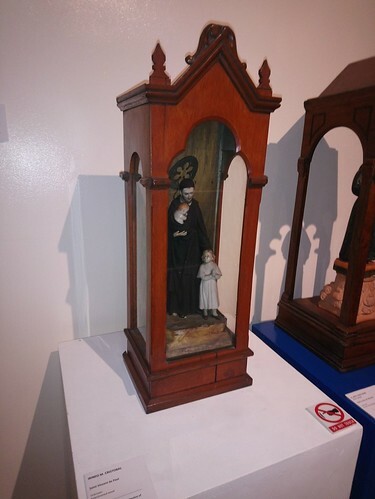 Barangay Bagbag was then called Sitio Binagbagbag when it was established around mid-1850’s. 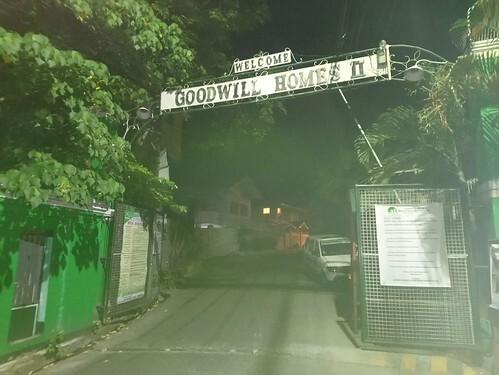 The terrain is hilly and uneven landscape which required some pounding of grounds, crushing of rocks, leveling in several places, clearing of cogon grasses and cutting of trees. 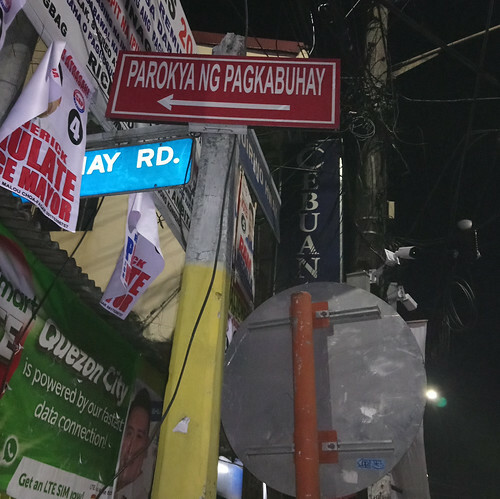 Eventually, it was elevated to Barrio Bagbag by the late 1860’s due to the increase local migration and settlement by people coming from Polo, Meycauayan, San Mateo and even from Manila. 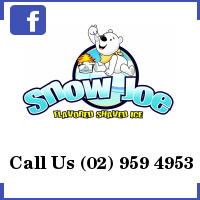 The name was then shorten it to Barrio Bagbag for easier pronunciation and recall. 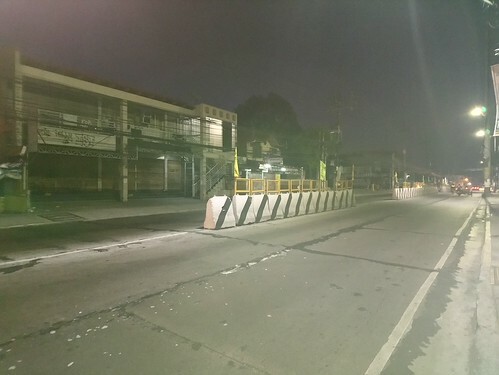 This is one of the first barrios of Novaliches and old residents would recall that, the place also had a high density settlement. Most of the residents are low and middle income families. There is also Bagbag reservoir which was built by the Americans which the water flows coming from La Mesa Dam and impounded in the reservoir. Older residents would recall that they would play and even take a bath at the spillway during the dry season. 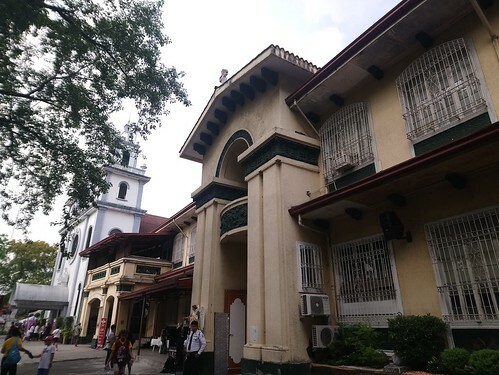 The friars came from the nearby Our Lady of the Angels Seminary (OLAS), founded 1962), which is located at the western part of Barangay Bagbag. 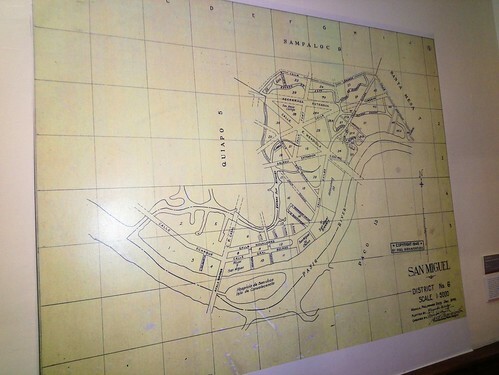 In 1979, the community was able to purchase the land near the Campo Santo de Bagbag or Bagbag cemetery. The construction commenced a bit slower phase due to lack of funds and relying on private contributions coming from the parishioners. The first church was completed in 1983 in modern style architecture with its belfry built on the center. The establishment of the Pagkabuhay Parochial School in 1983, which would eventually evolve into the Resurrection Catholic School in 1998. 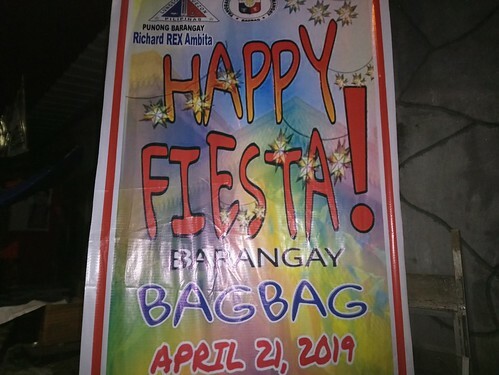 The first fiesta was celebrated on Easter of 1979. 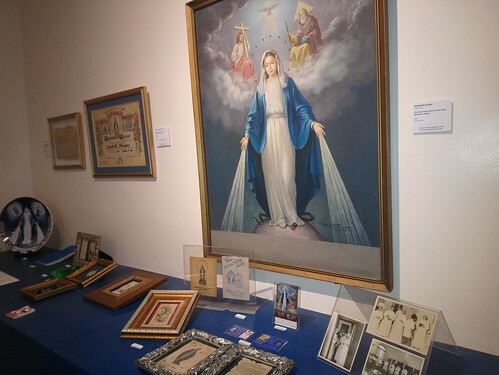 This year’s marked the 40th anniversary of the parish. 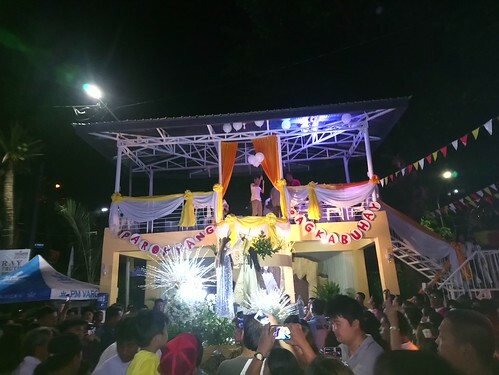 The celebration started with a vigil then followed by the traditional “salubong” rite between blessed virgin mary in black veil and statue of the risen Christ. 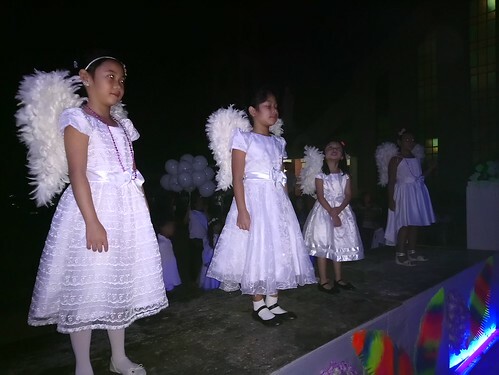 The program also included children singing on top of the grotto and showering rose petals on the images. 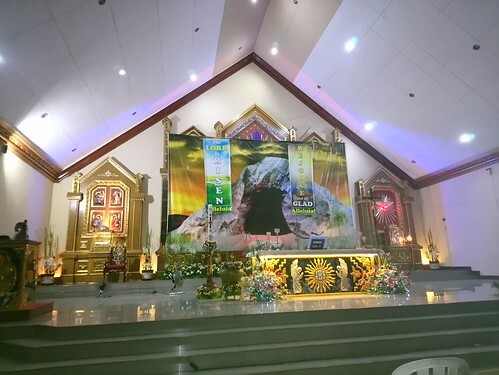 Before the elevation of Christ the King of the Universe parish in Kingspoint subdivision. 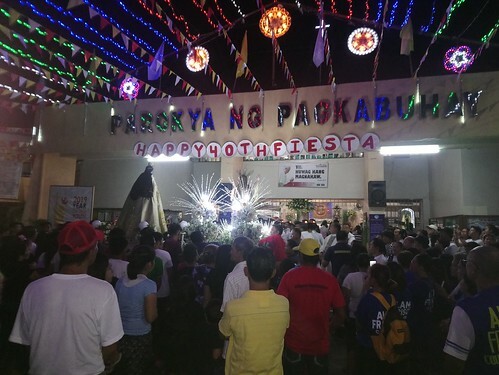 Priests from Parokya ng Pagkabuhay, San Bartolome would celebrate mass within Kingspoint,San Pedro IX and Goodwill Homes 1 chapels before the establishment of a separate parish. The author was invited by a friend living in Goodwill Homes 2 to experience the annual fiesta. Some of the houses even prepared a hearty lunch which celebrates both fiesta and Easter. 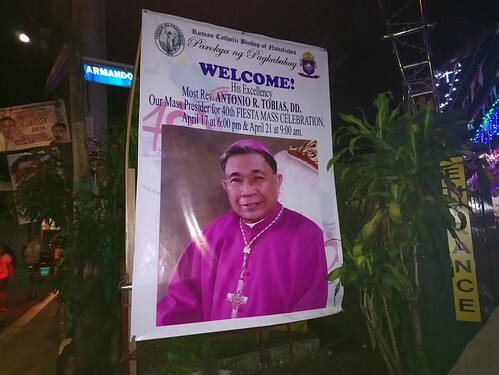 Bishop Antonio R. Tobias ( diocese of Novaliches ) lead the mass and was special guest of the parish. 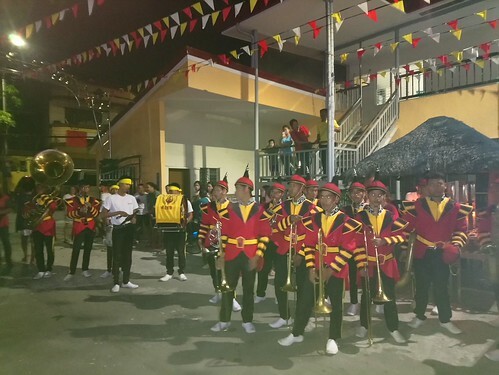 Special guests also included Congressman Alfred Vargas, Barangay chairman Rex Ambita and councilors of district 5. He was warmly welcomed by parishioners and celebrated the 9:00am mass. 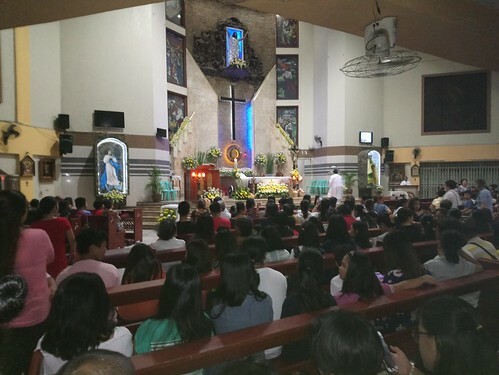 The bishop also celebrated the mass last April 17 Ash Wednesday at 6:00pm. My friend invited me for a breakfast at their house and took sometime walking around the place. We also ate at the nearby Nak’s Sarap Buffet restaurant in nearby Barangay Talipapa by lunchtime. Holy Week is one of the most important event in the Catholic church. 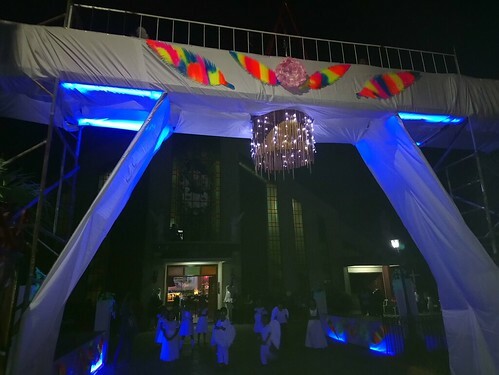 One of the most anticipated event at the Christ the King of the Universe parish within Kingspoint subdivision, Barangay Bagbag, Novaliches in Quezon City is the annual Easter vigil. 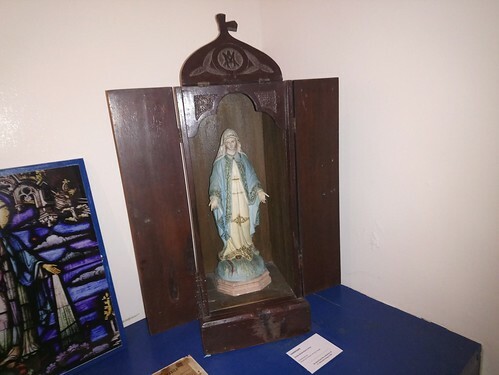 A small chapel was constructed early in 1980. 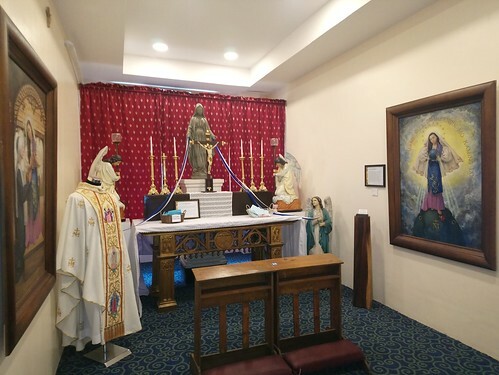 While several minor renovations were made in the late 1980’s and enlargement of the chapel was done in the mid-1990’s. 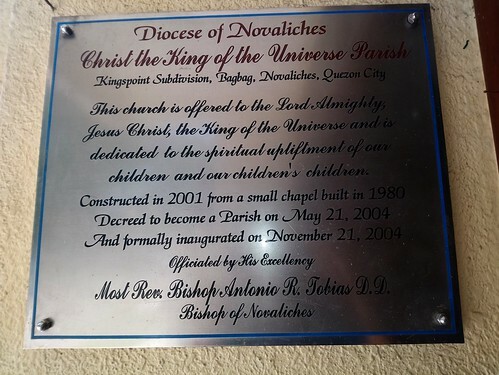 The church enlarged in 2001 and became a full pledge parish of the diocese of Novaliches in 2004. 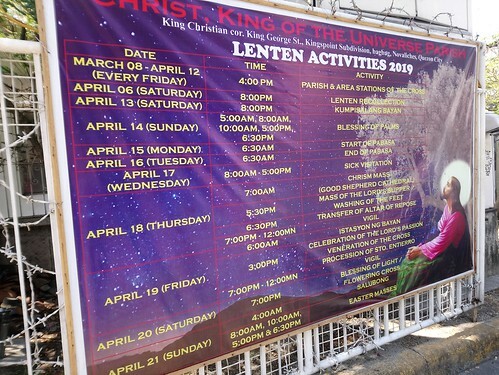 The full holy week schedule was posted at several vantage points within the subdivision and FB page of the parish. Easter day celebration in the mid- 1980’s and 1990’s were simple. Images inside churches remain draped in purple. The administration of sacraments is severely limited. 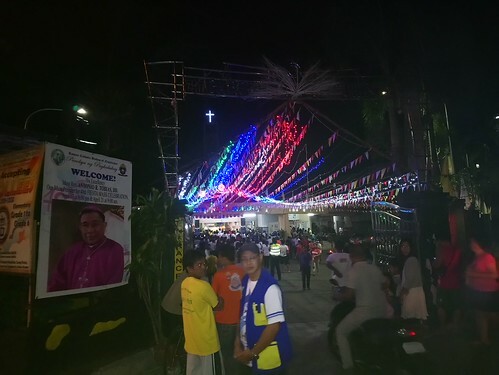 The shift from mourning to joy begins at night with the observance of the Easter Vigil, the third and final day of the Paschal Triduum that began on Maundy Thursday. 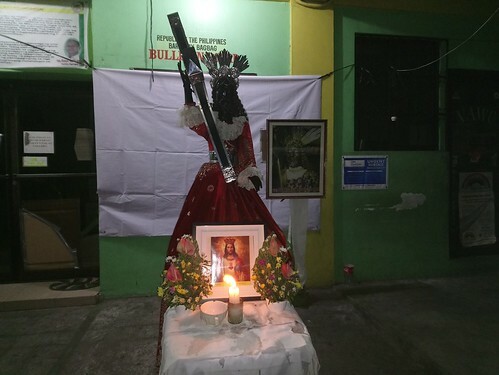 There was also the procession of Santo Entierro during Good Friday. 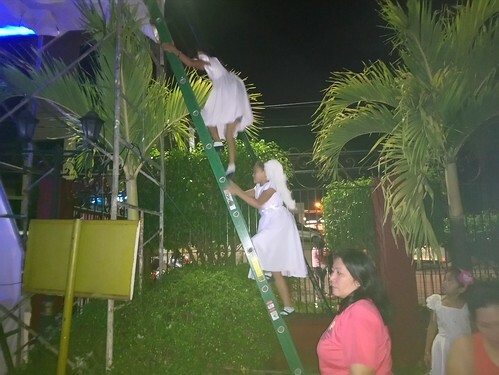 Someone from the parish invited me to the vigil which led up to the reenactment of the Easter day “Salubong”. 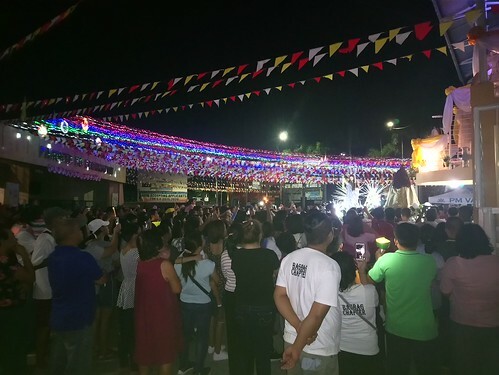 Easter day salubong was participated by the community of Kingspoint Subdivision, San Pedro IX, Goodwill Homes 1, Grand Monaco Villas, Dupax compound, Oro compound, Alipio compound, Kasiyahan Village up to California Village in nearby Barangay San Bartolome. 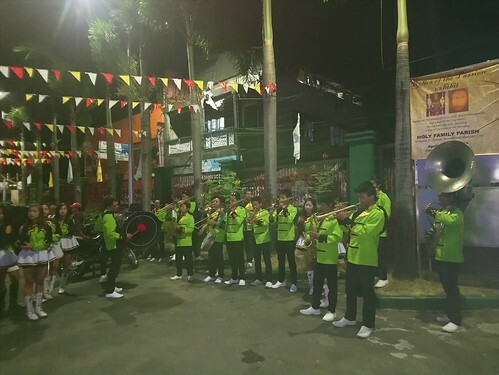 The rite is customarily performed in the early hours of Easter before the first Mass, Which is normally held at around past 4:00 am, while some of the parishioners are already inside the church as early as 3:00am. 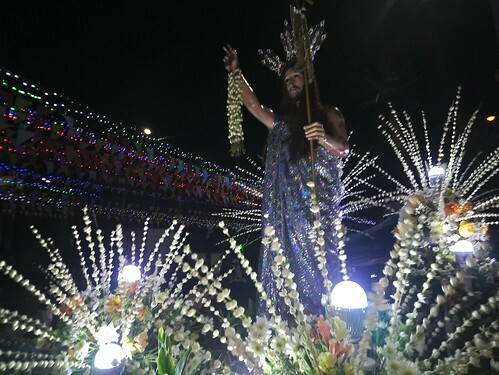 Unlike in Makati or some places, Easter Vigil and Salubong takes place around midnight. 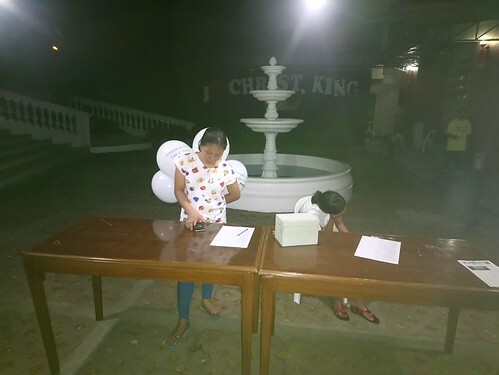 Easter day celebration within Christ the King of the Universe parish usually happen early dawn at around past 3:00 am. 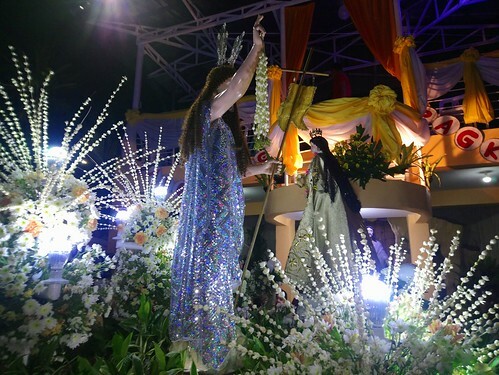 Easter salubong ritual is meant to depict the apocryphal reunion of Christ and his Mother, the Virgin Mary, after the Resurrection. 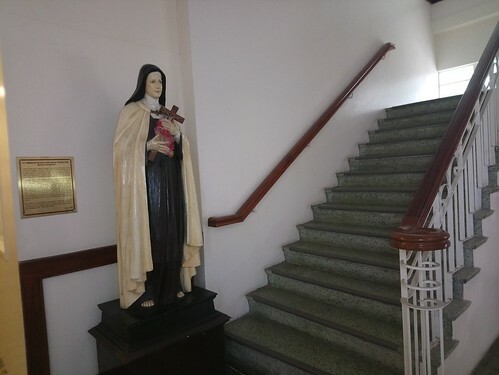 Statues of both are borne in two separate processions that converge at a designated area which is often an open space with a purpose-built scaffolding at the main entrance of the parish. 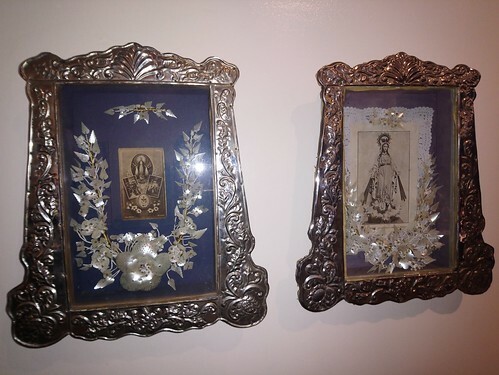 The high point of the easter day rites is the angel dramatically removes the veil from the Virgin’s icon, signalling the abrupt end to her grieving and the period of mourning. 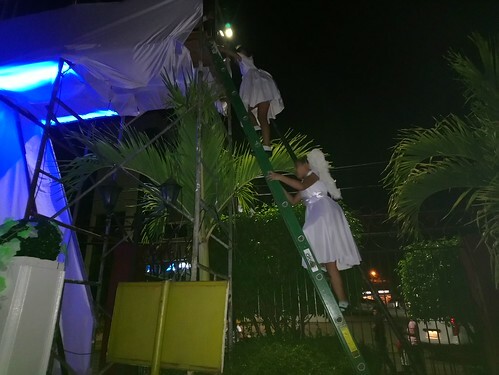 The veil may simply be pulled off the statue, or tied to balloons or doves that are released into early dawn rites. 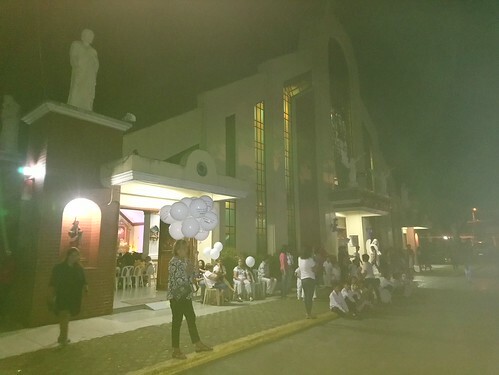 With white balloons released at the church. 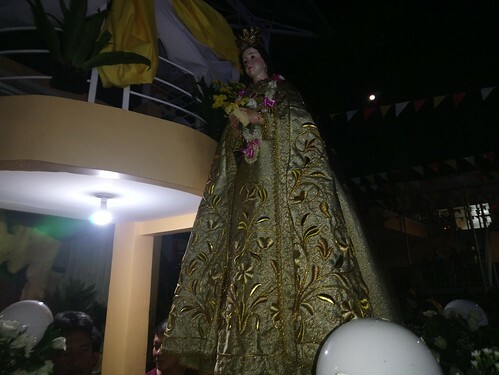 Ms. Jhuie Annika Delagala is is hoisted at the makeshift entrance and was the one who took the viel from the blessed mary. 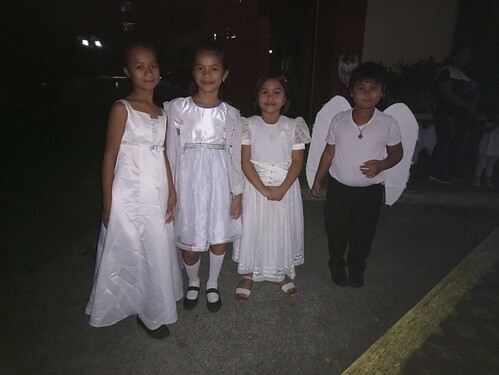 Dozens of children in white dress, with angel wings. 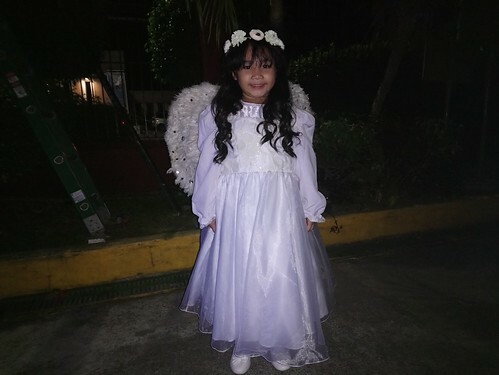 While 4 children dress as angels threw in flower petals unto the processional carriages. The celebrations started with an early morning mass by 5:00 am. 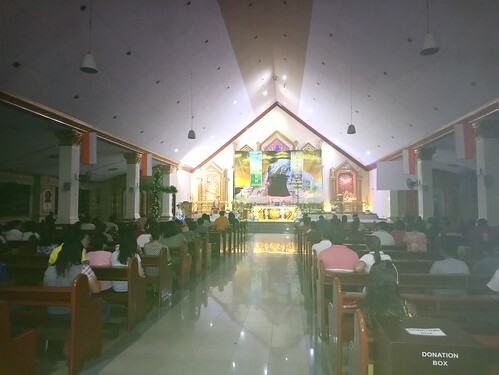 The regular mass was celebrated by 6:00 am. 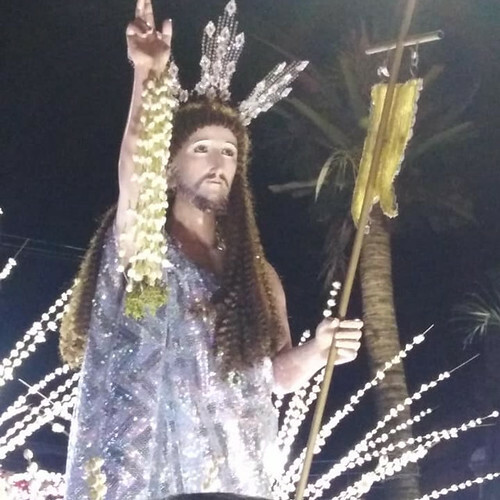 Christ the King of the Universe parish within Kingspoint subdivision is getting elaborate and more parishioner are joining the annual Easter celebrations. 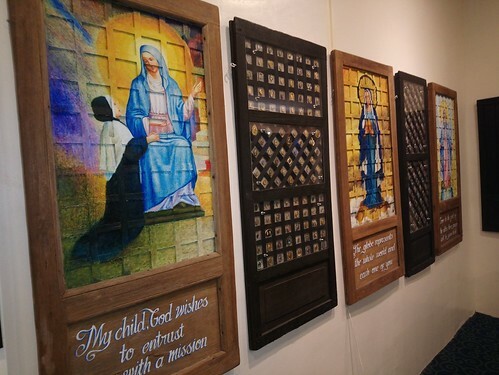 San Miguel of Archangel Parish had a lot of interesting sights and exhibits. 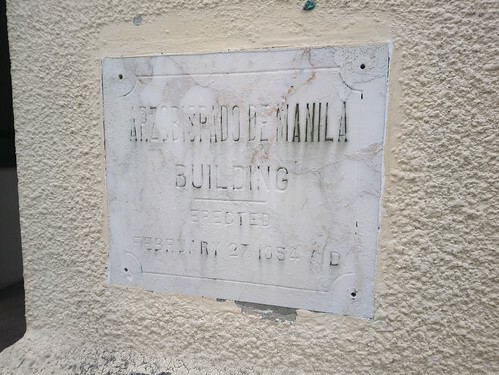 One such place is the former Arzobispado de Manila building. It was last inagurated last August 28,2018. 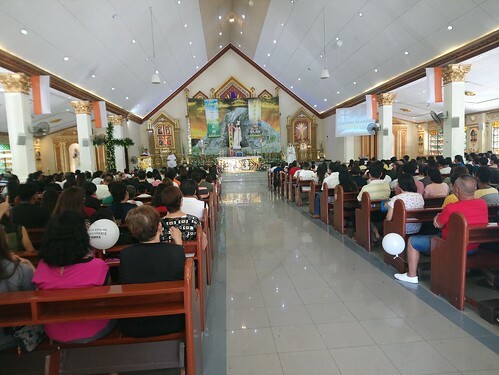 The official opening drew hundreds of parishioners, local and foreign tourists. 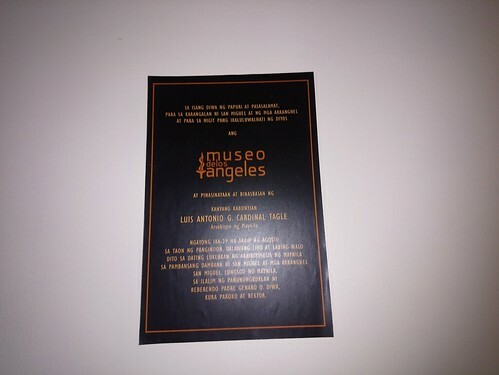 The museum is located at the former Arzobispado building built beside the church. 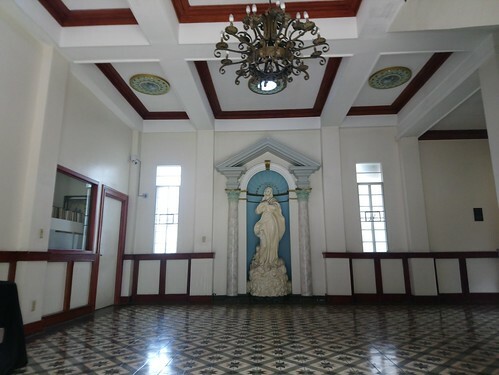 It is when San Miguel church used to be the seat of the archdiocese when Manila Cathedral was destroyed during the war up until when it was re-constructed in 1958. The building had retained much of its architecture, baldoza tiles, grilled windows, fixture and furniture. 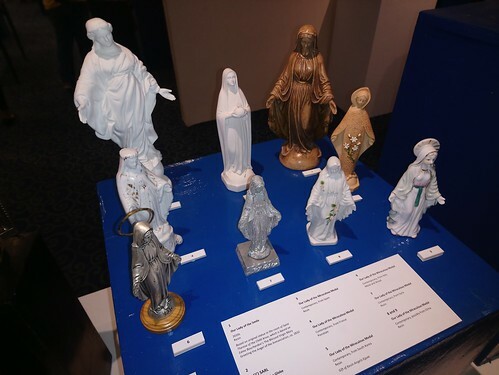 The group was warmly accommodated by a group of volunteer parishioners. 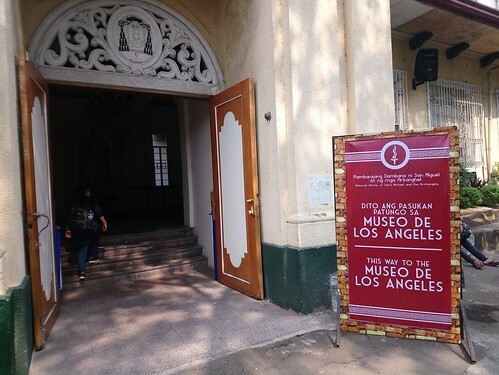 They told us that the museum is not open everyday except during sundays. 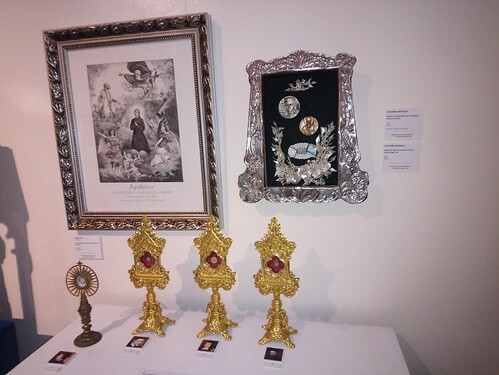 The parish had a special arrangement to open the museum for the holy week. 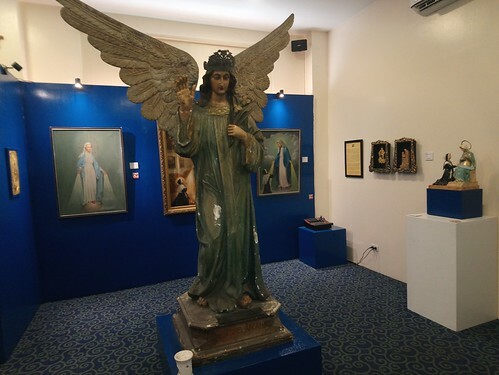 This would drum in much needed support in the care and maintenance of the museum. 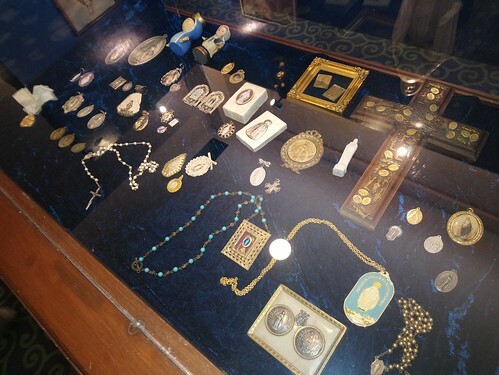 Much of the collection are on loan or owned by the parish. 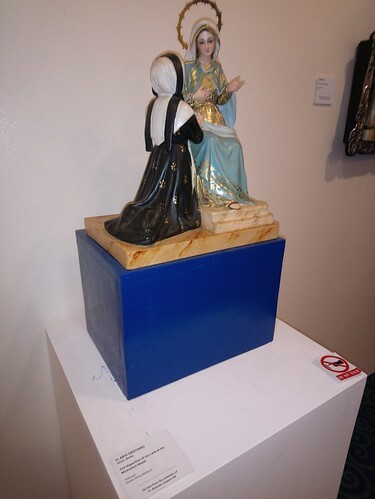 Our Lady of Miraculous Medal made from contemporary materials in wood and painted in gold accessories ( from Dolphy Quizon). 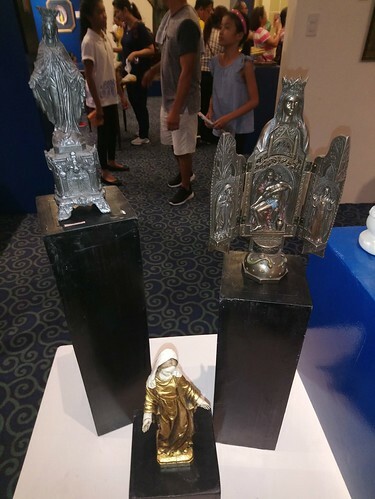 Different marian statues made from porcelain, wood, metal , plaster of paris, wood, and ivory were on display. 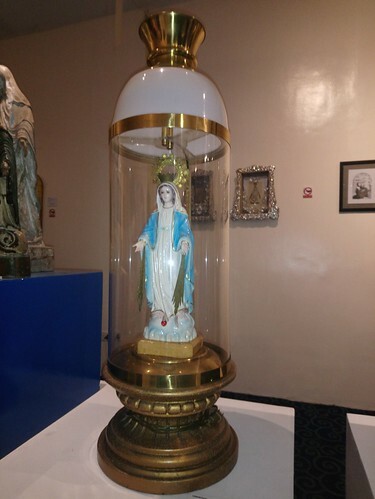 The museum is well lighted and the exhibit is neatly curated. 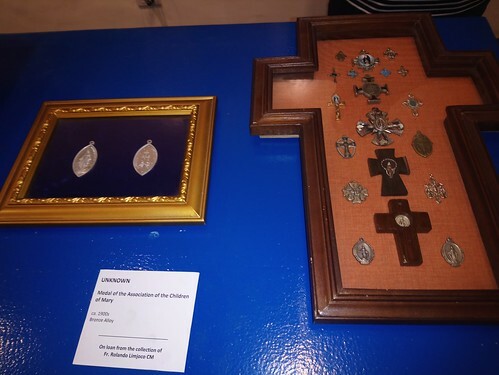 Most of the religious items on display are from the personal collection of Father Rolando Limjoco CM. 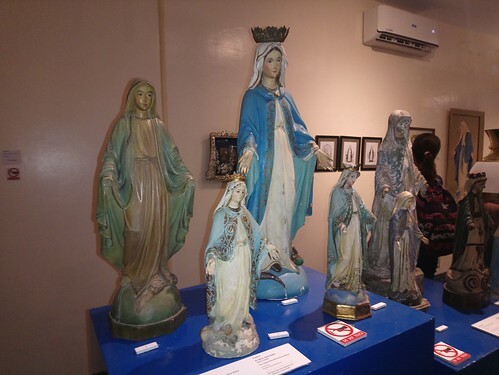 The exhibit area is air condition and one can marvel at the different marian statues, images, works of art and relics. 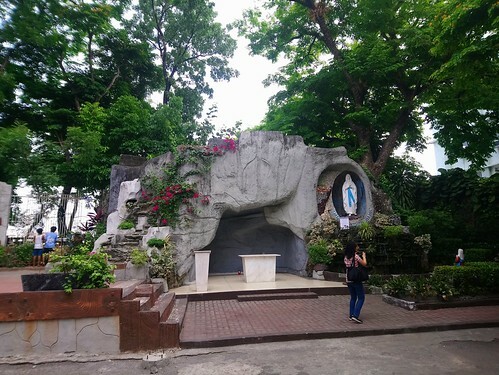 Our Visita Iglesia 2019 is incomplete without visiting the church grotto and stations of the cross. 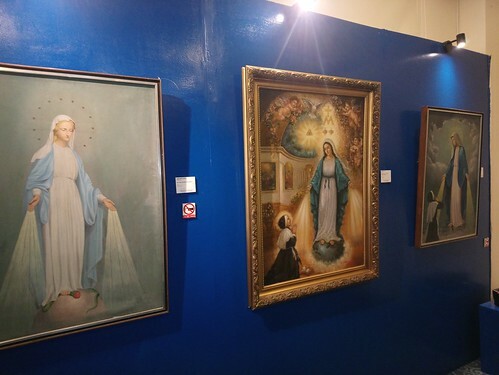 A visit to the San Miguel church and national shrine is incomplete without a visit to the museum.